he comment echoed a series of tweets from the president over the weekend, in which he defended his use of “Executive Time” and said that he “had no choice but to work very long hours” due to the state of the country when he assumed office. That’s exactly right. The sacrifices and hardships of George Washington were nothing in comparison. Sure he is. This is they contrived photos the WH released during the Schumer Shutdown from early 2018. 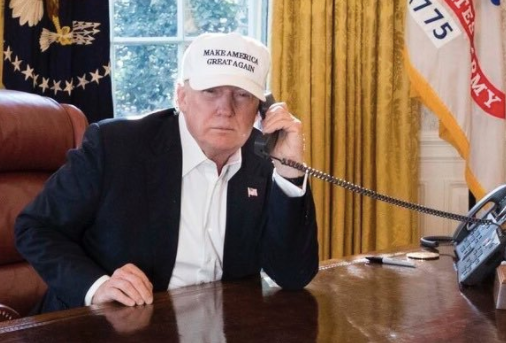 You can tell how hard he is working, from all the material on his desk. This looks like one of the corny agent photos you see in a real estate flyer, at the supermarket. The only thing missing is a bichon frise. mankind would be no more justified in silencing that one person, than he, if he had the power, would be justified in silencing mankind.